Save a Paw... Don't Declaw! 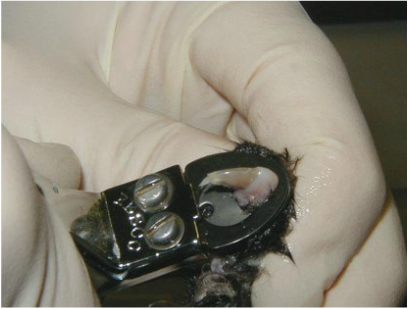 These photos illustrate in gory detail why declawing is banned or illegal and considered animal abuse in most of the civilized world. 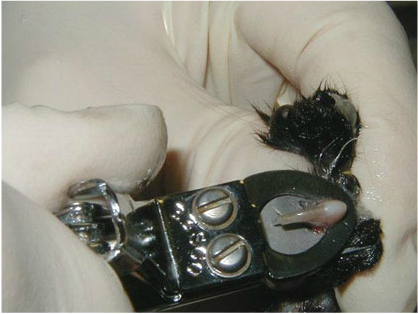 Veterinarians that still perform this barbaric procedure should be deeply ashamed. 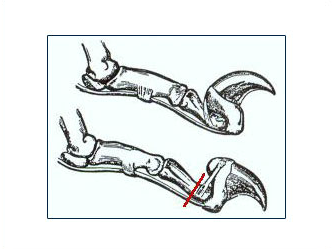 This Drawing is of the Claws of a Cat, showing the mechanism for extending the Claw. 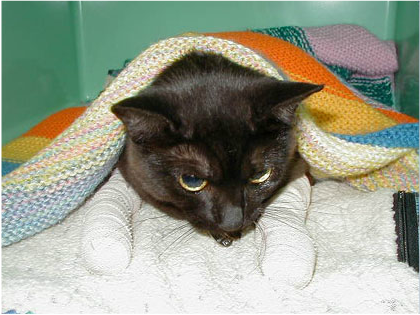 Declawing removes the claw immediately above the "extending mechanism". The joint is cut off and the underlying tendon is cute. 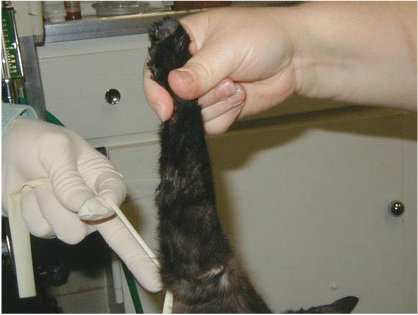 The Consequences of declawing are often pathetic. Changes in behavior do occur. 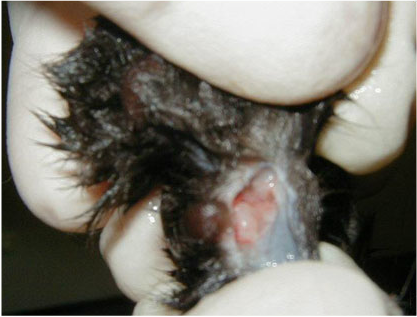 A declawed cat frequently resorts to biting when confronted with even minor threats. Biting becomes an overcompensation for the insecurity of having no claws. Balance is affected by the inability to grasp with their claws. Refusing to use the litter box will be an on going issue. 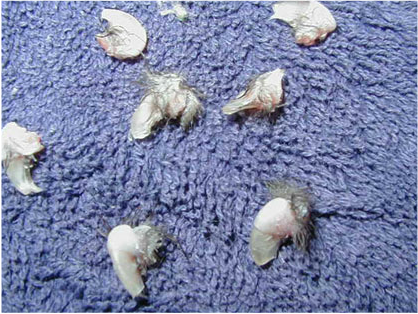 Chronic physical ailments such as cystitis or skin disorders can be manifestations of a declawed cat's frustration and stress. 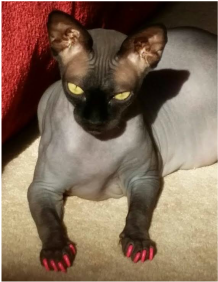 Nail Caps are Fashionable too!